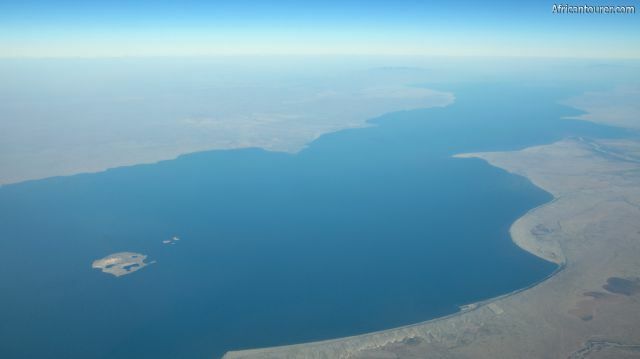 Lake Turkana is a salt water lake near the north western border of Kenya with its northern tip extending into Ethiopia. 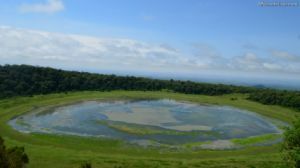 Formerly known as lake Rudolf (in honour of Crown Prince Rudolf of Austria), it is one of the features of the great Rift valley and has several islands inside it. It lies within Kenya's northern desert region - earning it the titles of the world's largest permanent desert lake, world's largest alkaline lake, and the fourth largest salt lake in the world by volume after the Caspian sea, Issyk kul and Lake van. Most of its water comes from the Omo river that flows from the highlands of central Ethiopia. It has three large islands inside it, two of which - the central and southern islands, are national parks. Together with the Sibiloi national park on the eastern shore of the lake, they make up the Lake Turkana national parks. It is nicknamed the Jade sea due to its turquoise colour when viewed from a distance and is famous for its Nile crocodile that mostly live on the shores of its islands. Lake Turkana borders two of the country's largest regions, the Turkana and Marsabit counties. It lies fully within the rift valley, with is northern tip being near that of the valley itself. For more information on its location, please see the map below. There are no attractions on our list that are near this lake. There are no restaurants on our list that are near this lake. Are you associated with Lake Turkana ?  Contact us to improve this page or create another page for your business.